Stripes are everywhere these days and as you can see from so many of my looks lately I'm CRAZY about it as well. So when I found this pink and white striped blazer I knew I just had to have it. I love how it's simple yet chic and so versatile. I picked it up from Charlotte Russe and decided to pair it with this cute skirtall from H&M. 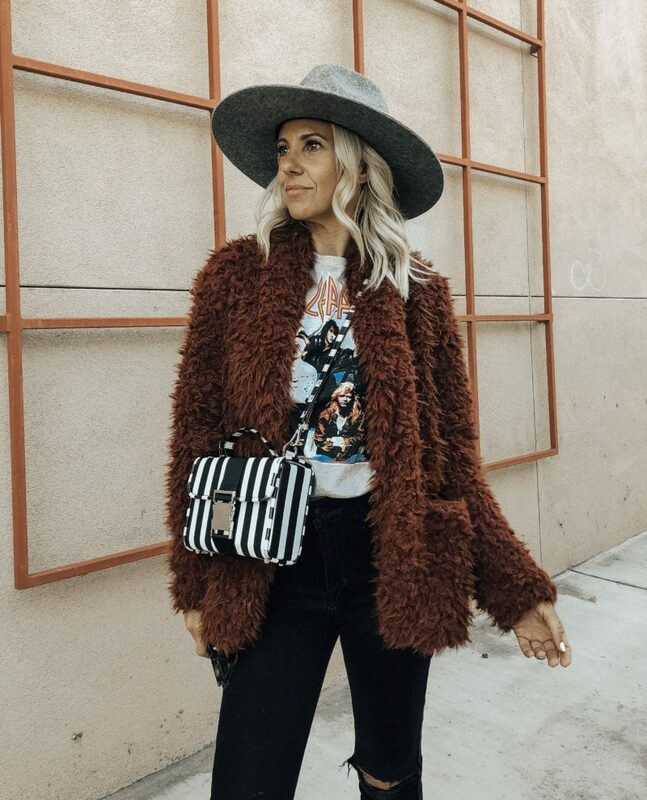 I added my favorite moto cap and Chloe dupe handbag to finish the look. This blazer would also be perfect to throw over a band tee and cut off denim shorts for another cool and casual look. Or dress it up by throwing it over a floral midi dress.